This year marks the 45th anniversary of the L.A. Pride Festival and Parade, the first permitted LGBT Pride Parade in the world, and if you thought the Pride was planning on spending a quiet night celebrating with a couple of friends or going out for a movie, guess again. L.A. 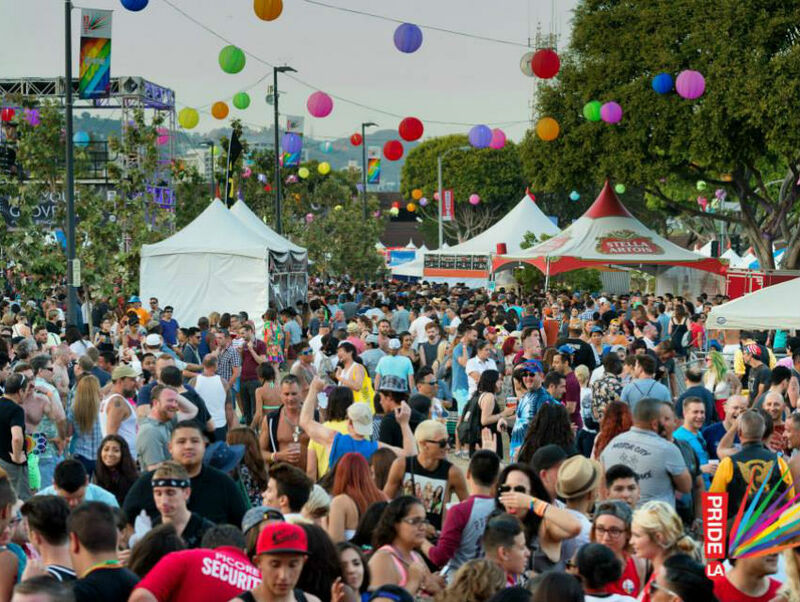 Pride is throwing a massive birthday party during the festival weekend kicking off Friday, June 12. In addition to Kesha, 5th Harmony, and Becky G, party goers will also enjoy the musical stylings of Wilson Phillips, Ty Herndon, The Fosters, Tinashe, Eden xo, Fancy, Wrabel, Lisa Vanderpump, Pauley Perrette, Shaun Ross, Peter Paige, Lily Collins, Leslie Jordan, and Transparent. Friday night’s festivities are a free for all featuring a celebration of radical feminist lesbian collective Lavender Menace and the return of L.A. Pride’s Trans Party. The rest of the week offers the FOX Pride Latino Carnivale, outdoor roller disco at Thunder Ground, and lots of fabulous music and entertainment by local performers. Friday June 12 Festival: 5 p.m. – 12 a.m.
Saturday June 13 Festival: 12 p.m. – 1 a.m.
Festival: 11 a.m. – 12 a.m. Parade: 11 a.m. – 3 p.m.
Santa Monica Blvd. between Crescent Heights Blvd. and San Vicente Blvd. The Fanciest All-You-Can-Eat Buffet in L.A.
10 Ways to Put a Twist on Your Weekend in L.A.